Size 1 month - 6 years ( size chart included in pattern file). 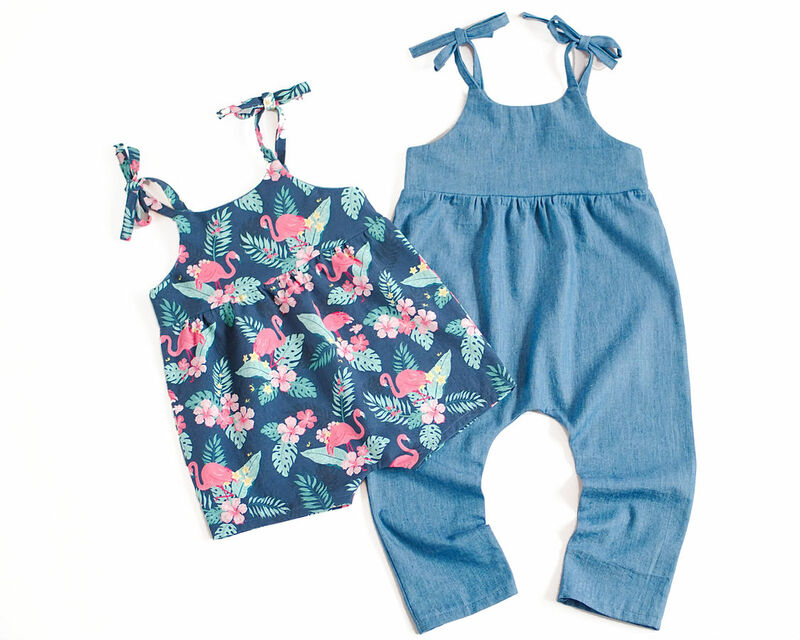 Easy to sew romper sewing pattern for baby and toddler girl, with ties on the shoulders and no snaps at the crotch. You will need: -woven fabric (cottons, cottons blend, linen) or knit fabric (jersey). - Adobe Reader to view your PDF pattern, A4 or Letter printer paper and a printer for printing the patterns. No paper copy will be mailed. Woven or knit fabric, thread.